Samsung is rumored to be working on a clamshell Android powered phone, which is designed exclusively for those who long for the good old days. Now there's a good reason why the folder form factor are almost extinct now (it wastes too much space for a world obsessed with thin and compact), but obviously Samsung feels it's worth another chance. 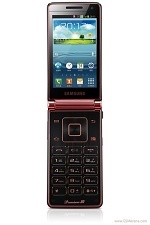 Samsung Galaxy Folder will be an Android powered flip-phone with a classic alphanumeric keyboard and a touch screen. The upcoming device is rumored to feature a display with a resolution of 800 x 480 pixels and the phone is expected to feature a dual-core Qualcomm Snapdragon S4 processor. The Galaxy Folder will run on Android 4.2.2 Jelly Bean and will be equipped with LTE radio. 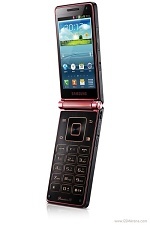 Unfortunately, there is no word on the launch date and the pricing of the flip-phone at the moment. Yes I would buy at least 2 to 3 for my husband. I have been looking for him for about 8 months and I am unable to find a decent flip phone, I have only ever had Samsung and I love them they are so easy to use. I would also get one for my dad as well. I want to purchase one of these phones asap, how?